Gansai Tambi paints are traditional Japanese watercolors for professional artists and crafters. They are the perfect accent for scrapbooking, crafting, and artistic projects, including sketch, illustration, and ink wash painting. 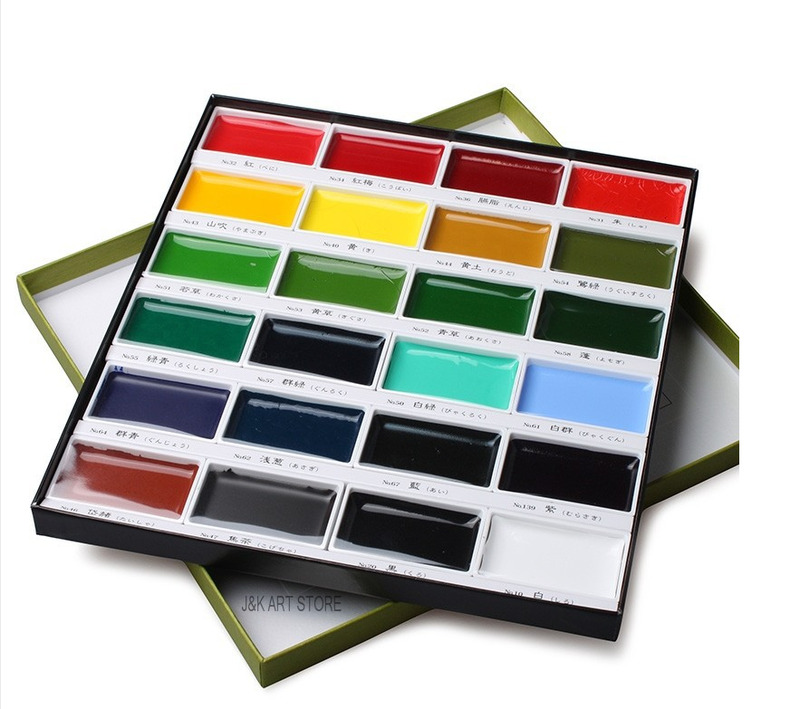 Gansai Tambi watercolors come in a set of 36 unique colors. Create beautiful works of art, use with stamping and paper projects, and add details to scrapbooks and more with these paints. Paints work best on paper and use a water-based pigment. The pigment is nontoxic and conforms to ASTM D 4236.